As a skilled public relations professional, you know that your success depends on staying relevant, resourceful and inspired. 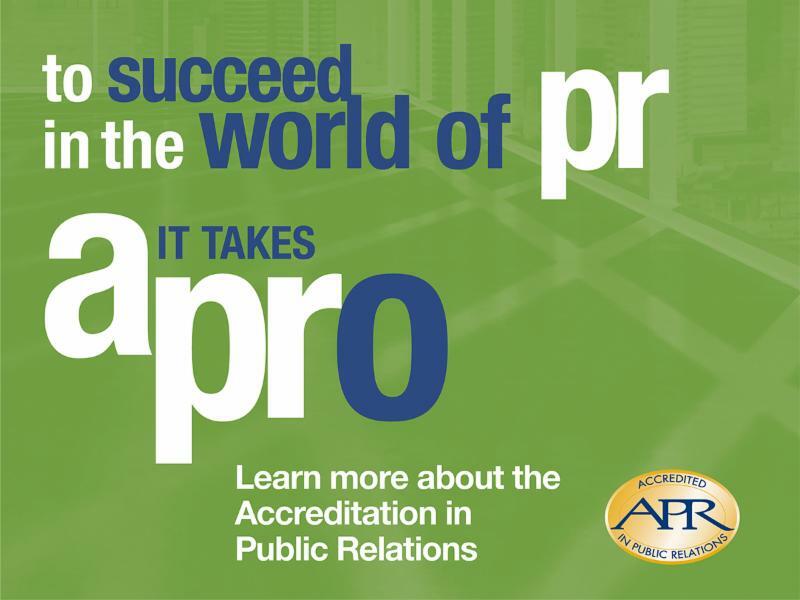 Discover what the Accreditation in Public Relations (APR) can do for your career, and take the first step today. Join us for a free APR Breakfast Session to learn more. Click here to register now.